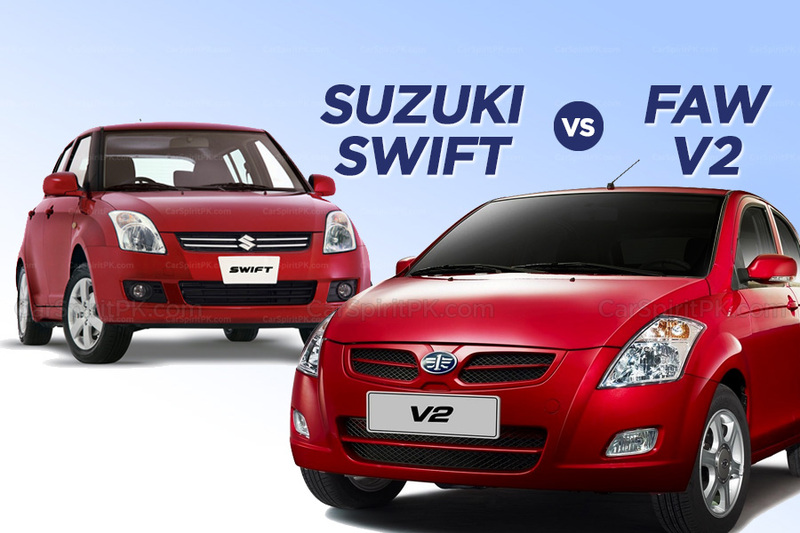 When it comes to buying a new 1300cc hatchback in Pakistan, there are two choices available, one is the Suzuki Swift and the other is FAW V2. Both are present in the market for quite a few years now, and more importantly both are being assembled locally. So which one is worth buying? Let’s find out. Development of both these hatchbacks dates back to the previous decade. The Swift that we have here is the second generation model that made its debut in 2004 at Paris Motor Show. In 2006 it was awarded RJC (Automotive Researchers’ and Journalists’ Conference) Car of the Year Award in Japan. 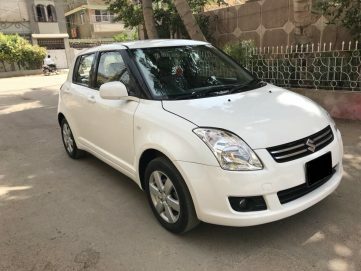 Its production came to an end in 2010 as it was replaced by the third generation model, and that’s when Pak Suzuki introduced this generation in Pakistan. The development of V2 began in 2008. Though it made its first appearance in production form, at the 2010 Chengdu Motor Show in China and was launched soon after. 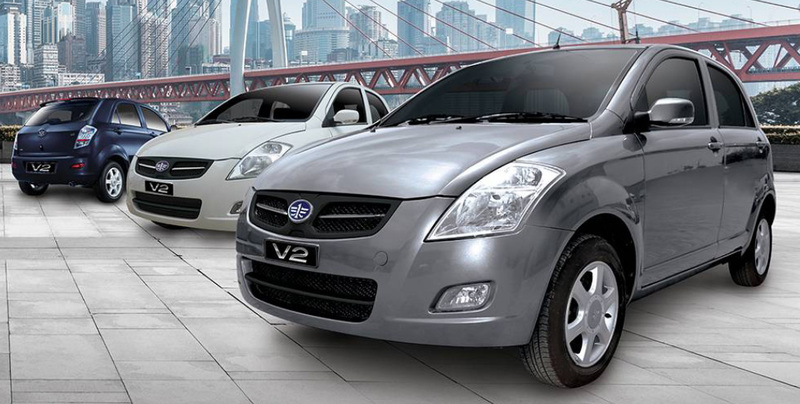 The V2 is based on Toyota’s NBC (New Basic Car) platform, thanks to FAW being a joint venture partner of Toyota in China. Sharing the common platform, the V2 is also known as the derivate of 1st generation Toyota Vitz. Both the vehicles have quite similar body dimensions. In fact the V2 is 65mm longer, 20mm taller and has a 60mm longer wheelbase than the Swift. The Suzuki hatchback however, is just 10mm wider than its Chinese rival. Since both these hatchbacks were developed quite a few years ago, they may not look as ravishing and extravagant as you get to see modern hatchbacks around the world, or the JDMs for the sake of comparison. However the Swift, being an award winning product of its time has a very balanced appearance. The V2 has a similar set of sweptback headlamps as Swift, but overall the design is a perplexing blend of quite a few cars. Interior of both the cars have black/ grey color combination. The V2 however has received an upgrade recently as it now comes with an all back interior compared to the light grey color available before. Furthermore the indicator and wiper stalks have been swapped back to their original locations as they were previously found the other way around. Although the quality of interior in both the vehicles is comparable, the Swift has got an edge when it comes to design. 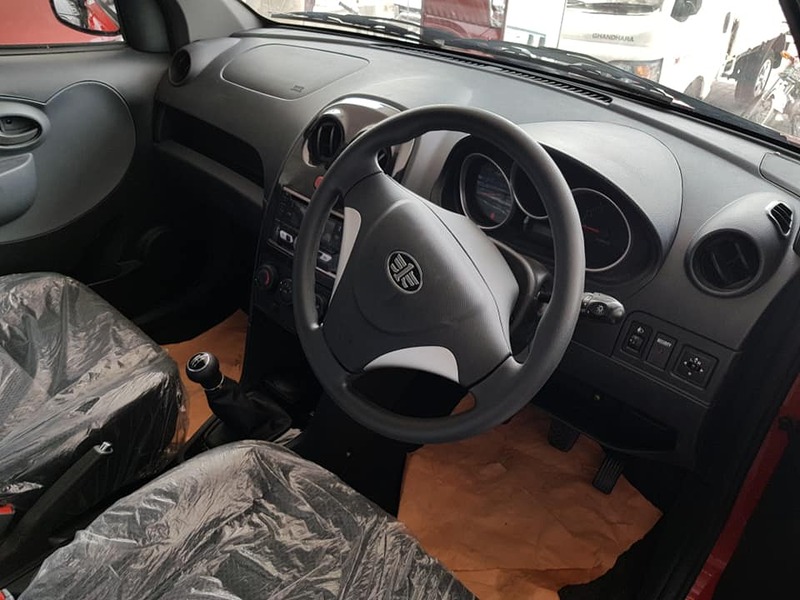 As said earlier, it was an award winning product of its time so the design is simple yet appealing and you feel you’re in a much better place when you get inside the Swift. The design of V2’s interior leaves a lot to be desired. Although the barrel type meter cluster and instrument panel is attractive and well-lit and the dashboard now with a black color theme looks a lot better than before, still the overall design specially the door trims can’t beat that of Swift. Both the vehicles offer good drive position and the controls are well within the reach for the driver. Both offer ample space for the front passengers, but thanks to a longer wheelbase, the V2 is roomier for the rear passengers with better head and legroom whereas in case of Swift, it just isn’t that spacious for the rear passengers. As for the luggage volume, the Suzuki Swift offers 213 liters of boot space whereas FAW V2 has a generous 320 liters of cargo volume which is quite adequate if you want to carry luggage & stuff with you. 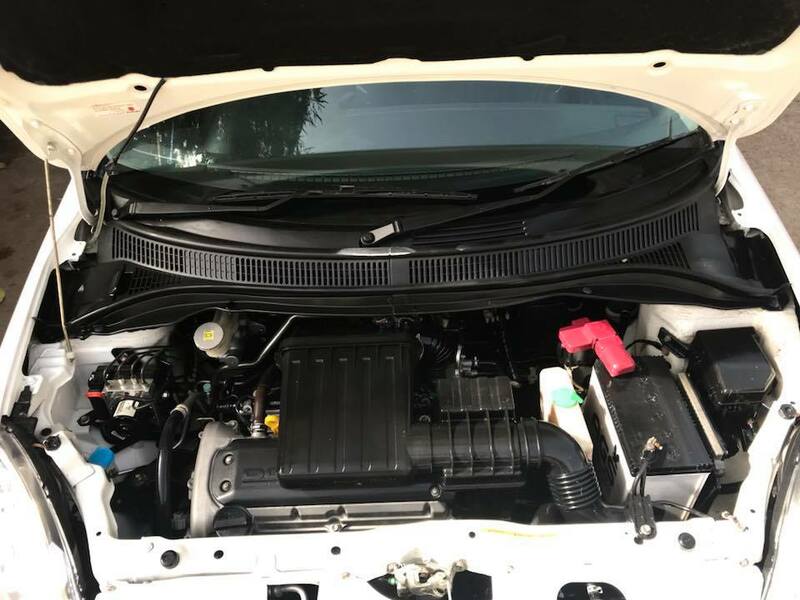 The Swift in Pakistan comes powered by a 1.3 liter (1328cc) M13A DOHC VVT engine, which produce 90hp of power and 114Nm of torque, while meeting Euro II emission standards. 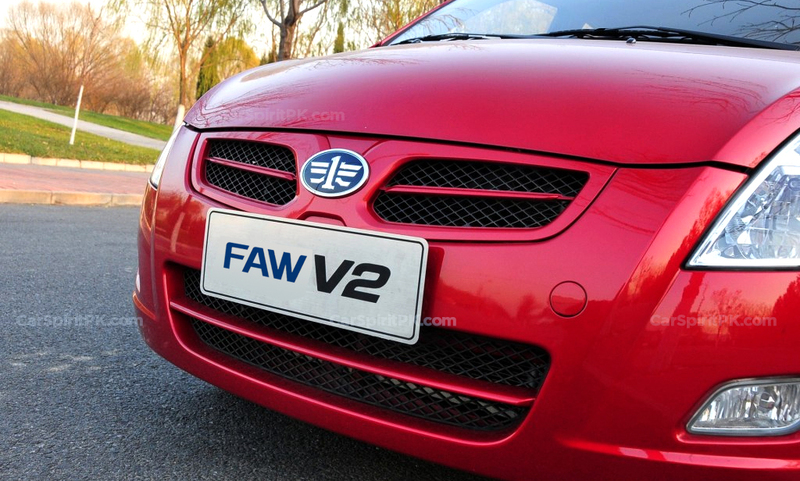 On the other hand FAW V2 has got a 1.3 liter (1339cc) CA4GA1 DOHC VCT-I engine which also churns out 90hp of power but punches out relatively better torque of 120Nm. Furthermore V2’s engine is compliant to Euro IV emission standards. In some cases, Swift automatic owners have claimed a 10km per liter fuel average within city. The two vehicles offer quite a similar set of features and equipment. Both come equipped with alloy wheels, air-conditioner, tachometer, power steering/ windows/ mirrors, engine immobilizer, anti lock brakes (ABS), AM/FM radio with CD player & USB input and fog lamps etc. The difference however is in terms of transmission options and availability of airbags. The Swift comes equipped with an automatic transmission variant, whereas the V2 comes with 5-speed manual transmission only. 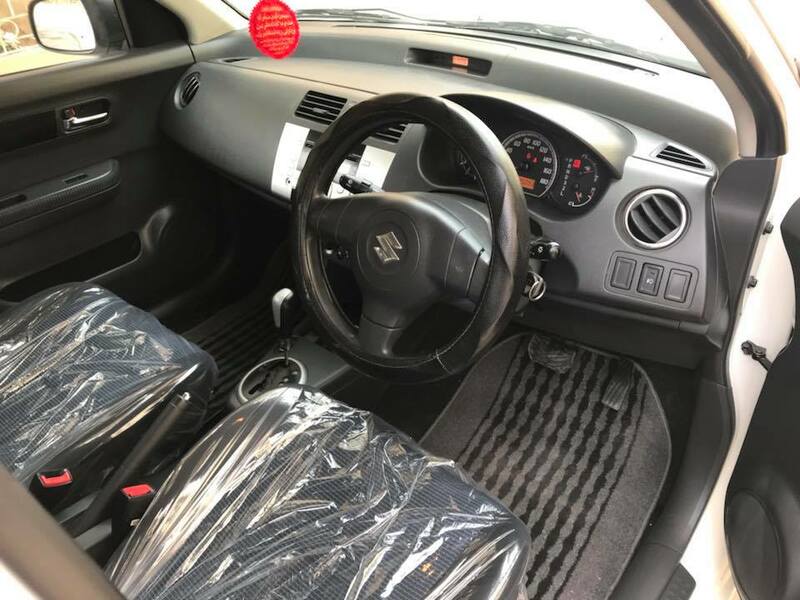 On the other hand V2 has a big bonus of having driver & passenger airbags on offer, which remain absent in Suzuki Swift. Furthermore the Swift comes equipped with navigation system also, which isn’t available with the V2. The Swift has been in the market for over 9 years now and has remain unchanged throughout its life. Not to mention it was launched in Pakistan when the newer gen Swift was already available elsewhere, so technically it’s a 16 year old car and 2 generations behind the global versions. Internationally the Swift is in its 4th generation that was introduced in Japan back in December 2016. 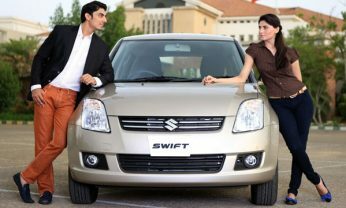 The Swift remains seated at the bottom of the domestic sales chart with a dismal sales average of around 350 units a month. The V2 was introduced in Pakistan in 2014 as a CBU import. It has slowly yet steadily built its reputation in a market that’s largely dominated by Japanese players. 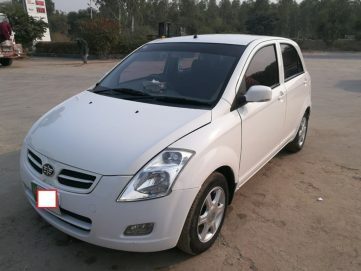 In August 2017, Al-Haj FAW began assembling the V2 locally and since then according to the company, the V2 hatchback have seen a 60% increase in sales. 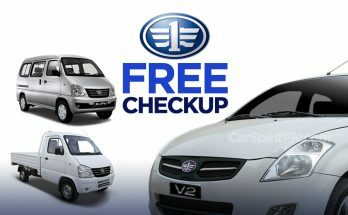 Over the period of time, FAW V2 has also developed a decent resale value in the used car market. So far everything about these cars is very much comparable, but the biggest difference is there in terms of price. The Swift manual is priced at PKR 15.15 lac whereas the automatic variant is priced at PKR 16.51 lac. Compared to this, the FAW V2 is available for just PKR 12.89 lac which means compared to Swift manual it is PKR 2.26 lac cheaper whereas its PKR 3.62 lac cheaper than the Swift automatic, which is a lot. 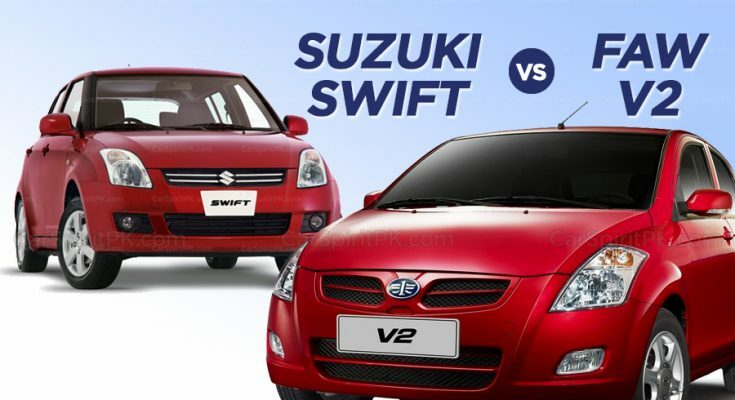 Pak Suzuki offers a 2 years/ 40,000km warranty with Swift, whereas Al-Haj offers a 3 years/ 60,000km warranty with the V2, which gives it another edge over the Suzuki rival. Both the vehicles offer comparable performance & features. The Swift has a better exterior and interior design, but lacks space for rear passengers and cargo. 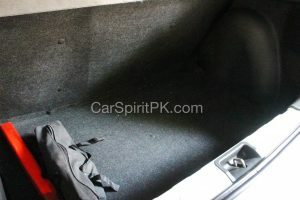 The V2 has an ample cargo volume and generous space for rear passengers. While the Swift comes with satellite navigation and automatic transmission option, the V2 offers driver & passenger airbags. 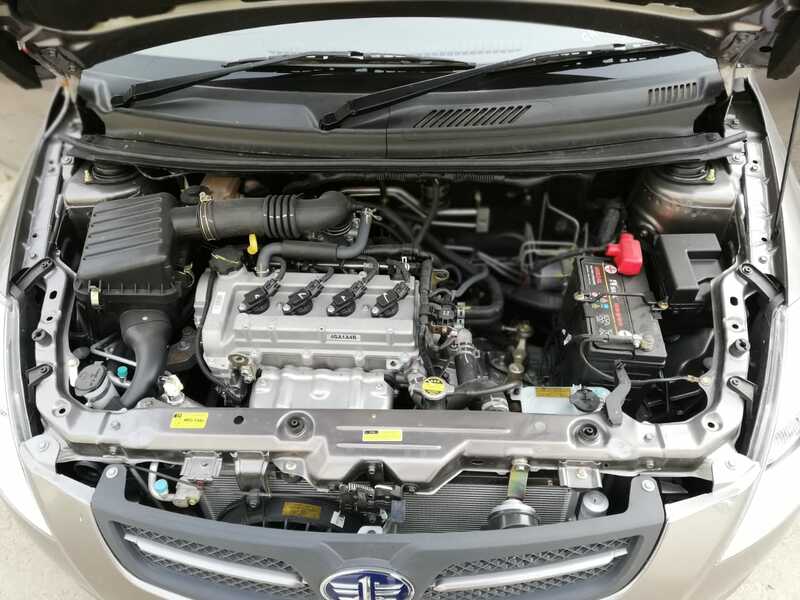 The V2 also has a better fuel consumption compared to the Swift, and all that comes out from its exhaust is safer for the environment, thanks to its Euro IV emission compliant engine. So perhaps if you want to go for beauty and looks, or a hatchback with automatic transmission, go for Swift. 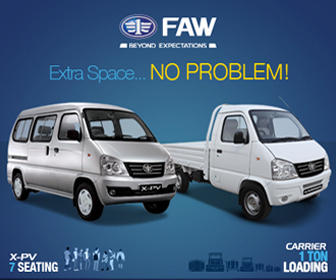 But if you want a safer fully loaded hatchback with better fuel efficiency, that also saves you a lot of money and is backed by a greater warranty period, then you should opt for FAW V2. The V2 has everything you can ask for in a reasonable amount of money. Despite all the price revisions due to the fluctuating Rupee-Dollar parity, it remains the best value for money hatchback currently available in Pakistan, with a price tag that’s roughly the same as of Wagon R VXL. The only thing that we miss is an automatic transmission variant, if Al-Haj is able to offer an automatic transmission option, then it will further boost the sales of FAW V2 for sure.